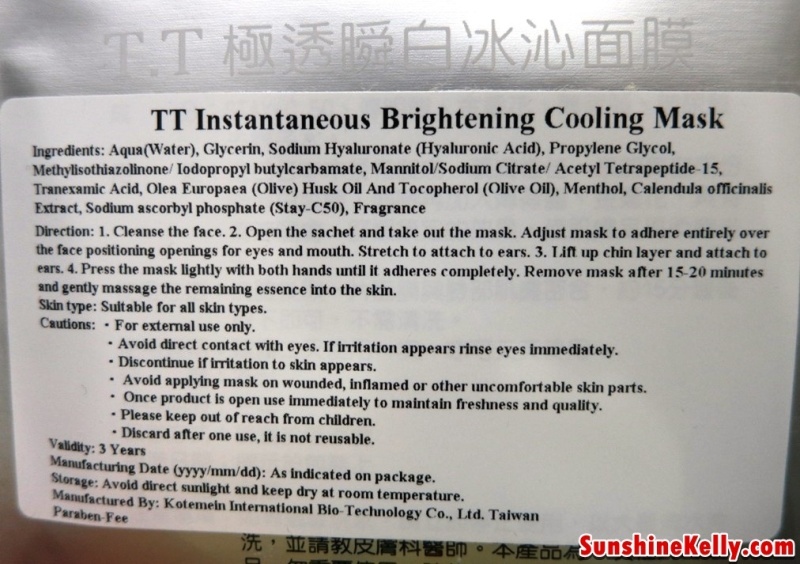 It has been a hot hot hot day lately so this Timeless Truth Instantaneous Brightening Cooling Mask is sort of a rescue for my skin. This Timeless Truth Instantaneous Brightening Cooling Mask under moisturizing category. This mask contains active ingredients like Hyaluronic Acid and Vitamin E results in an instant hydrating, revitalizing and nourishing sensation with the complexion appearing more radiant. This paper sheet mask is a very mild minty scent and the mask essence is not too thick or sticky. So makes it comfortable and absorb fast after I took of the mask. As usual lah, the step to apply sheet mask; you must cleanse the face, apply the mask onto face and press it lightly so that the mask fit onto the face. Leave it for about 15 – 20 minutes. Then remove the mask and massage the remaining essence on face and neck. 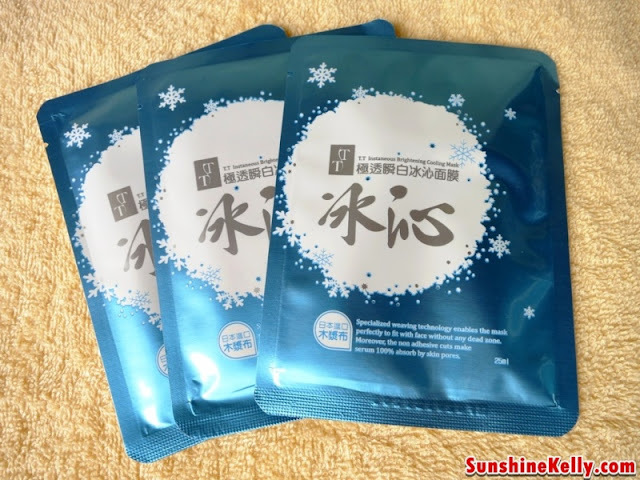 I have dull and dehydrated skin so mask is suitable for me. I like the cooling sensation, it is very refreshing and soothing especially after a hot day out. I usually use mask in the evening after my shower. I’ll put on my mask and then continue to check my emails, facebook or blog. After about 20 minutes I took off the mask and gently massage the balance of the essence on my face and neck (don't waste). Eh! I feel not so sleepy anymore maybe it is because of the cooling effect makes me fresh and awake hehehe... yay so I continue to blog and clear pending posts. Plus my skin is plumped up and look clearer. Will continue to use because I like the cooling sensation.